How big is Jarvis Island? Jarvis Island is about 4.5 square kilometers. To many people, this might sound quite small. 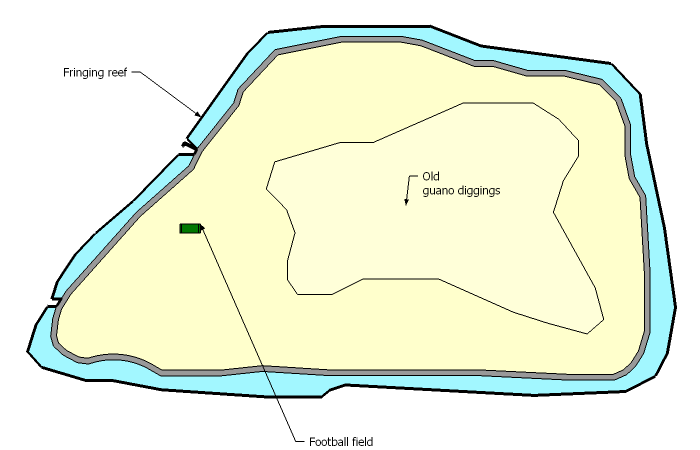 The green rectangle drawn in the middle of the west coast in this diagram is the size of a standard American football field, 360 feet long by 160 feet wide. 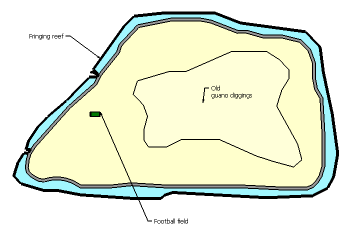 About 900 of these football fields can fit on the surface area of Jarvis Island. However a sizable amount of land is consumed by the large former lagoon in the middle of the island, which is the same area mined for guano in the mid to late 19th century.